When hooked, steelhead jump three to five feet out of the water repeatedly, while screaming 40 to 50 yards of line off your reel. These Northwest prizefighting fish average 8 to 14-pounds, and large steelhead weigh in the low 20s. 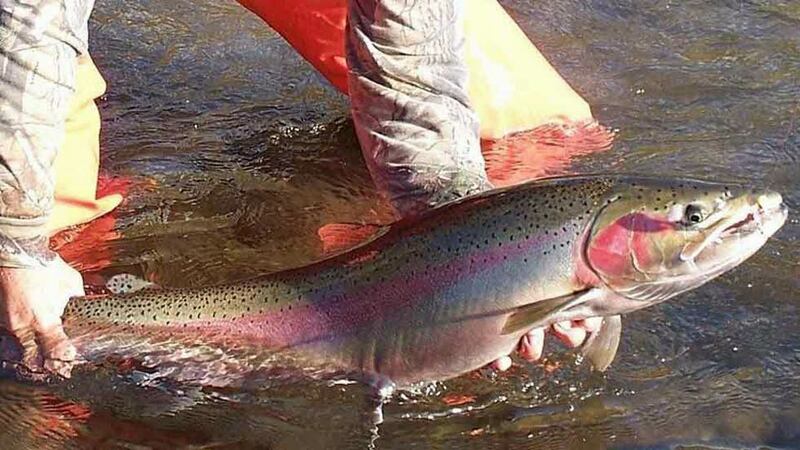 Pound for pound, steelhead are considered the hardest fighting fish in the world. 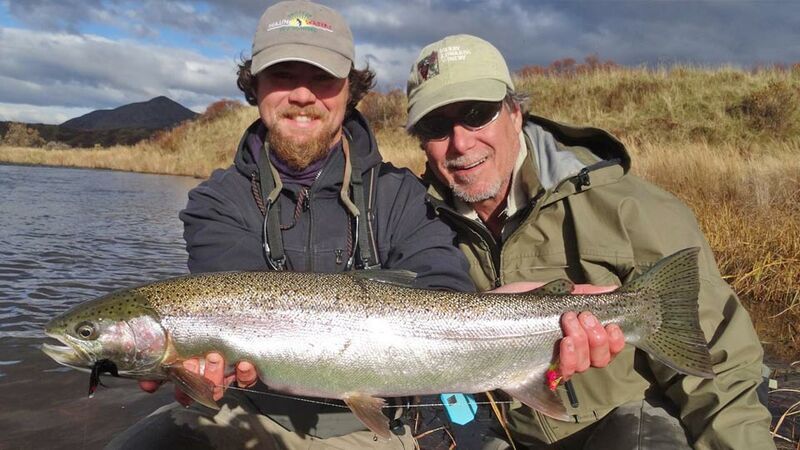 Five weeks eash season, the Duncans' take six anglers a week into this remote area to fish for wild Steelhead. To get in and out of camp requires air dropping gear and supplies from a float plane and then hiking into camp from a nearby lake. Wild Rivers Lodge—Kalum River's new lodge—is located on the banks of the world-renowned Skeena River in beautiful British Columbia. 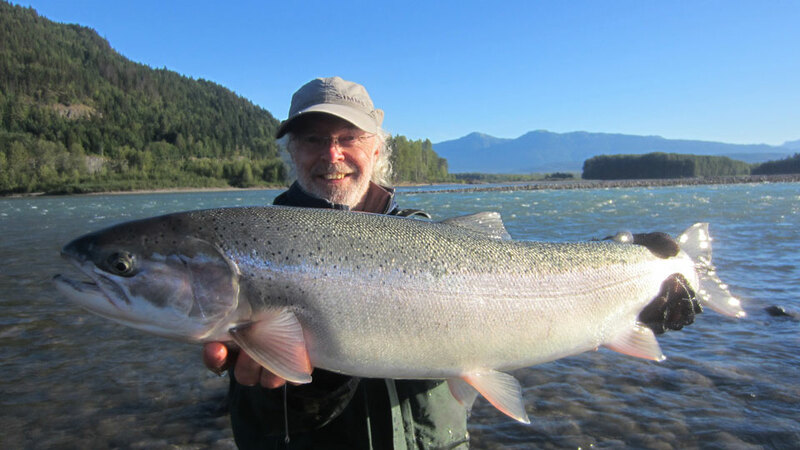 The Skeena River is home to the largest run of wild steelhead in the world and also the world record. Drift fish the Wild and Scenic section of the Rogue River for for 4-to 10-pound summer steelhead, and the world-famous half-pounders (1 ½ to 3-pounds steelhead - nicknamed by Zane Grey). The trip begins 28 miles west of Grants Pass, Oregon. Each year, thousands of salmon and steelhead migrate from the Pacific Ocean into the Klickitat River to spawn. The Klickitat is remote, approximately 70-miles long with only a few roads and limited trails for access. Klickitat River Guides is one of the only outfitters holding a permit with the USFS for the Wild Scenic section of the river.